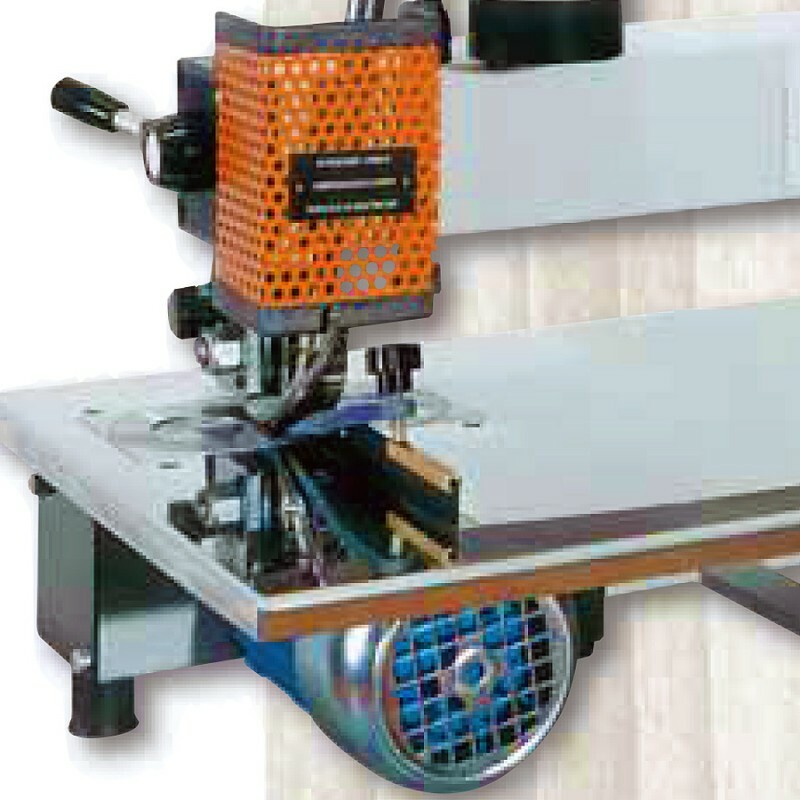 The splicer ZC 900 is a model for factories which use often to joint the veneer. The machine has a compensating mechanism if veneer sheets with different thickness are used. By means of the two regulators on the control panel you can obtain different speed and pitch without any operation on the mechanical part of the machine to avoid loosing of time. A strong and chemically neutral glue thread is used as a joining medium. It is melted with hot compressed air and it is applied in zig-zag fashion automatically. 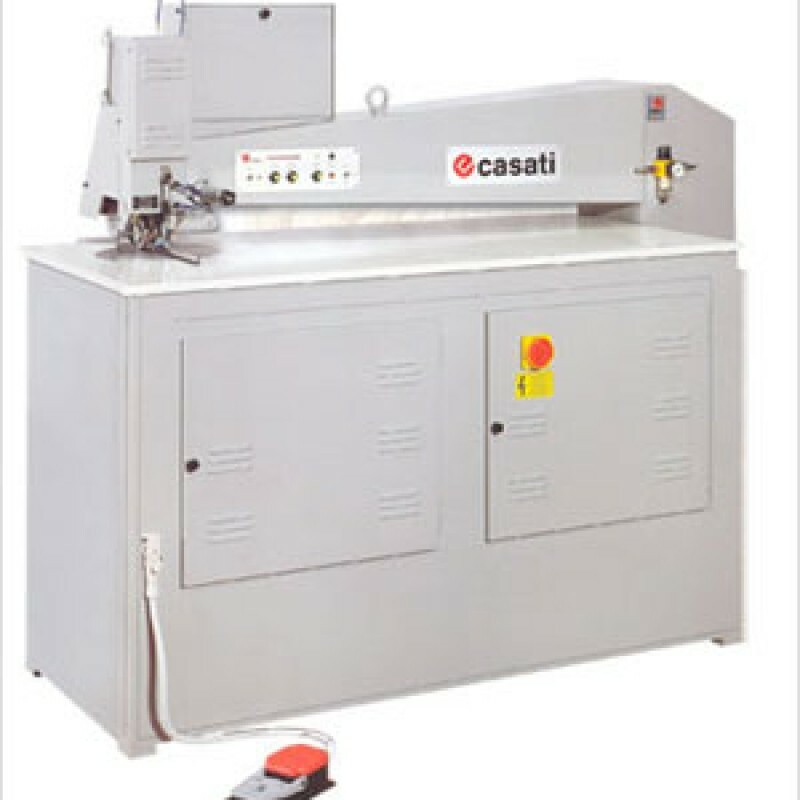 This machine is equipped with thread cutter and automatic ejector of the worked piece. There is an electronic regulation with LED lights for the melting of the glue thread. The splicers ZC 1100 and ZC 1300 are machines for factories which continuously have to joint the veener in great quantity. These machines have a compensating mechanism if veneer sheets with different thickness are used. By means of the two regulators on the control panel you can obtain different speed and pich without any operation on the mechanical parts of the machine to avoid loosing of time. A strong and chemically neutral glue thread is used as a joining medium. It is melted with hot compressed air and it is applied in zig-zag fashion automatically. These machines are equipped with thread cutter and automatic ejector ot the worked piece. There is an electonic regulation with LED lights for the melting of the glue thread.